There are many items in the grocery store that are being made in China and are being marketed as real food. While the American FTC in 2001 placed stiff tariffs on Chinese honey after cheap adulterated honey was being marketed as honey, this ‘fake’ honey is still is for sale in our grocery stores. Fake honey is common. It can be called adulterated, artificial or impure honey. Fake honey can be made from or contain sugar syrups, corn syrup, molasses, dextrose, and other additives and flavors. How to Tell if You are Buying Real Honey? There is a lot of fake honey on the market, which makes it difficult to know what is real and what is not. While the following tests are based on true honey principles, the results may be inconclusive. So, you can try a few of these tests to see if the honey passes or fails. You may need to guess if the honey is real or fake. Here is how you can tell if your honey is real. Before you buy honey, you should always read the label. Food producers have to label what is in the honey and the ingredients are listed by percentage, from most to least. This is very quick and easy way of testing if your honey is real or not. You just need to put a small drop of the honey on your thumb. Check to see if the honey spreads or spills around. If the honey does, it is not pure. Pure honey will stay intact and in place on your thumb. Place a few teaspoons of honey in a bowl, and heat the honey in the microwave on high heat. Real honey will eventually caramelize, while fake honey will foam and bubble due to the added ingredients. However, you should keep in mind that real honey can also get a layer of ‘foam’ on the top because of the air being cooked out of the honey. All you need to do this test is a glass of water and the honey. Simply place one tablespoon of honey into the glass. Pure honey will settle right to the bottom of the glass. Artificial honey will dissolve in the water, and some honey will be floating in the water. Did you know that pure honey is flammable? This is why beeswax is used to make candles. You can also use flames to test if you have real honey or not. For the flame test, you will need a dry matchstick. Dip the matchstick into the honey. Strike the match on the matchbox to light it. If the honey is pure, the match will light with ease. The flame will keep burning off the honey. Impure honey will not light because of the moisture from the impurities in it. Simply spreading on honey onto a slice of fresh bread can tell you if your honey is real. If the bread becomes hard, the honey is natural. Fake honey has a large amount of water and moisture in it, so it will only dampen the bread. This can take time to happen, but all natural honey will crystallize after being exposed to air. This is due to the overabundance of sugar in honey. Fake honey does not contain the correct amount of natural sugars or has ingredients that stabilize the mixture. This allows it to keeps its liquid composition. We have stated that fake honey has a lot of water and other ingredients that contain high amounts of moisture. Real honey has almost no moisture, so placing a few drops of honey on a piece of paper towel can tell you if your honey is real. If the honey is not absorbed, the honey is real. Fake honey will be absorbed within a few minutes. How to Avoid Fake Honey? The best way of avoiding fake honey is to buy it from a local honey producer. Most local producers are happy to explain how they produce their products, and may even allow you to visit their production buildings. Bees are important for crop production, so supporting your local honey producers is also helping other food producers. Buying organic and raw honey still has the risk of being imported from China or being made with other ingredients to help the honey be shelf stable. This is why it is important to always to check the label before buying any honey product. Real honey has benefits that fake honey does not or has in very low amounts. The main benefit of using real honey is that it is rich in antioxidants. These antioxidants include enzymes, phenols, organic acids, and flavonoids. Increased intake of antioxidants has been linked to lower risk of strokes, heart attacks, high blood pressure and some cancer types. They may also improve eye health. Real honey has also been used for centuries to help with the healing of wounds and burns. In a 2015 review, 26 studies about honey and wound care were evaluated. This review found honey was most effective at healing wounds and burns that were infected. Honey was also found to be an effective treatment for diabetic foot ulcers. Diabetic foot ulcers may have serious complications and can lead to amputation. 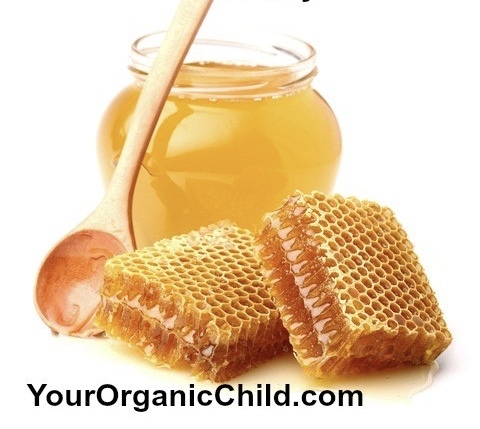 Honey has anti-inflammatory and antibacterial effects. It also nourishes the affected tissue. Honey is also an effective treatment of sore throats and colds, which is due to its antibacterial and anti-inflammatory effects. There is a study that found honey was more effective than two of the leading cough medications. There is a growing amount of fake honey in our grocery stores, mainly because real honey is becoming more expensive to produce. It is easy to buy fake honey, but you can easily find out if your honey is real or not. Buying local honey can reduce the need for you to test for fake honey or additives being added. Using real honey offers many benefits and it also supports local businesses and farmers.